When All Else Fails, Your Backups Cannot. Since 2007, Datto has been dedicated to bringing enterprise-grade data protection solutions to small and mid-sized businesses through their proprietary solutions. 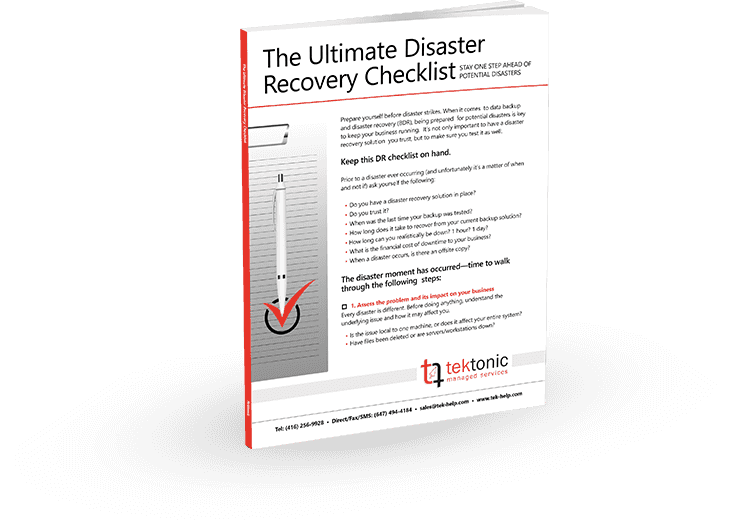 Their fully scalable options and wide range of data backup solutions have made Datto a standout in the technology marketplace - and the data backup solutions partner of choice for Tektonic Inc.
Get Your FREE Copy of Our Ultimate Disaster Recovery Checklist. 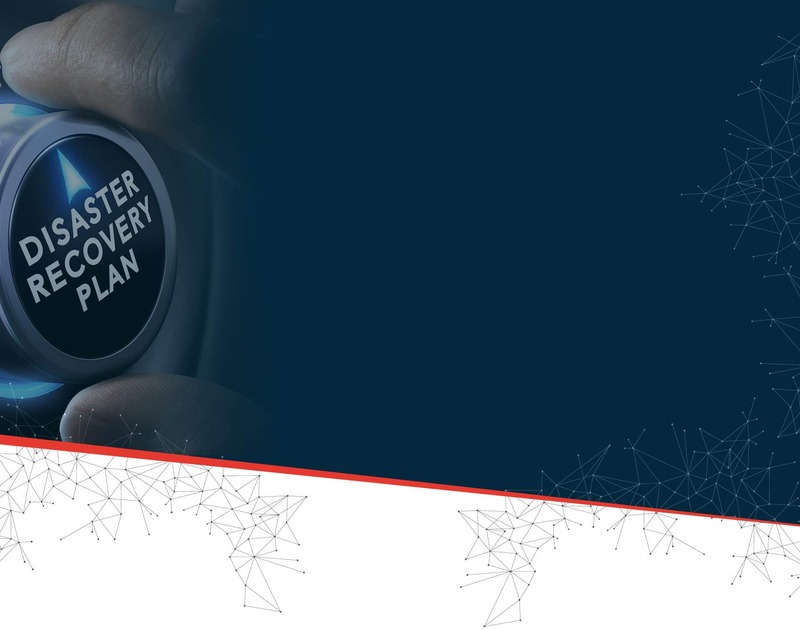 Your business needs to take data backup and disaster recovery planning seriously. It's critical to make sure you're prepared for when things go wrong. Fill out the quick form above to download your FREE copy of Tektonic Inc.'s Ultimate Disaster Recovery Checklist, and find out where your business stands when it comes to disaster preparedness. Your data backups are your last line of defense against all types of cyber threats, including the one responsible for 97% of the data restores that Datto's team performs - human error. People are your business' biggest weakness. Phishing scams are a go-to for hackers, as they're always able to find an employee that will click on or open something they shouldn't, letting them avoid your antivirus and other endpoint protections. At the end of the day, a good backup is your best defense - it's what you can count on when every other preventative measure has failed. Make sure yours is rock-solid by contacting Tektonic at sales@tek-help.com or (416) 256-9928 today to learn more about our range of data backup solutions powered by Datto. © 2017 Tektonic. All Rights Reserved.